The iOS mobile platform has been subject to numerous lock screen bypass vulnerabilities across multiple versions. Although Apple strives to fix these vulnerabilities in various updates to iOS (http://support.apple.com/kb/ht1222), it is important for information security professionals and pen testers to pay close attention to the current unfixed lock screen bypass scene at any given time, evaluate its risks, and promote enforcing physical security and tight access controls on iOS devices. Shameless plug: If you are interested in this kind of technical details and want to learn more, Raul Siles will be teaching future SANS courses, such as the 6-day "SANS SEC575: Mobile Device Security and Ethical Hacking" course in London, UK (Oct 15-20, 2018). Many pen testers tend to focus more on traffic or network activity analysis and attacks, Mobile Device Management (MDM) and back-end systems auditing, jailbreaking or rooting opportunities, or in-depth mobile applications analysis, leaving unattended scenarios with physical access to a target device, or the stolen or loss device threat. However, real incidents constantly confirm unattended or stolen devices with a lockscreen bypass vulnerability are a serious threat that should be included, or at least evaluated, when scoping a mobile pen testing exercise. Throughout the years, I've been researching, testing, and collecting a list of all these iOS lock screen bypass vulnerabilities for pen testing engagements, presentations, and training sessions. Some of them are related to other hardware components, such as the SmartCover or the SIM card, while others are purely driven by new software features and capabilities, such as Siri or the new Control Center in iOS 7. Some issues impact only iPads or just iPhones, while others affect them all. History ratifies it is hard for Apple to fully mitigate this threat, as the attack surface is significantly wide, and it even increases with newer versions of the iOS platform. The following list summarizes the history of all the lock screen bypass vulnerabilities that iOS has suffered from iOS 5 to the most recent iOS version (until the last update :-). It also includes links to demos and/or videos associated with each vulnerability. The vulnerabilities have been classified based on the iOS version that provides the appropriate fix. Therefore, iOS versions earlier than the one providing the fix are potentially effected by each vulnerability. iOS 12.x: 6 vulnerabilities (officially, so far!!!). 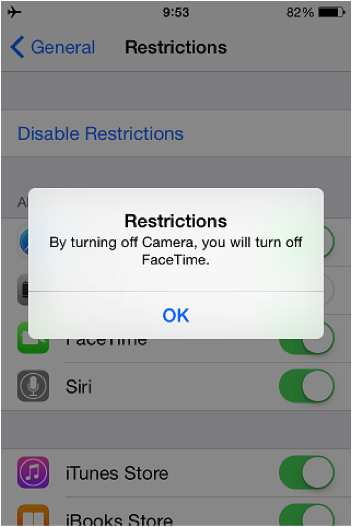 Access to iMessages, contacts and photos via a FaceTime (or phone) call, a custom message and Siri (plus VoiceOver). Again, this bypass can be mitigated disabling Siri in the lock screen (iOS 10.1.1 & 10.2Beta3 in iPhones and iPads, the discontinued iOS 9.3.5 - iPhone 4S, and back to iOS 8.3...). Video: https://www.youtube.com/watch?v=LWJG5I8xCDU Video: https://www.youtube.com/watch?v=hP3BMyrFBSs (Fixed in iOS 10.2, but not in previous iOS 9.x, or below, versions). iOS 12.1: Access to contacts via Siri, FaceTime and airplane mode from the lock screen. Video: https://www.youtube.com/watch?v=ojigFgwrtKs (Fixed in iOS 12.1.1). iP-BOX is a hardware unlocking device that can be used to defeat 4 digit PINs in iOS devices (More technical details at TeelTech). The device does not lock the screen after the idle timeout when the Touch ID prompt is shown (CVE-2016-7601). Access to photos and contacts from the lock screen due to a validation issue in the handling of media selection (CVE-2016-7653). Device can be unlocked due to a counter issue in the handling of passcode attempts when resetting the passcode (CVE-2016-4781). 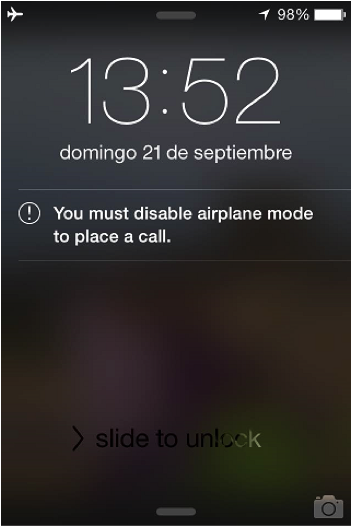 Device can remain unlocked due to a cleanup issue in the handling of Handoff with Siri (CVE-2016-7597). Auto Unlock may unlock when Apple Watch is off the user's wrist (CVE-2017-2352). An activation-locked device can be manipulated via Wi-Fi to present the home screen (CVE-2017-2351). iCloud authentication prompts may disclose the user's Apple ID from the lock screen (CVE-2017-2397). Siri might reveal text message contents while the device is locked (CVE-2017-2452). Notifications may appear on the lock screen when disabled (CVE-2017-7058). A screenshot of secure content may be taken when locking an iOS device (CVE-2017-7139). A person with physical access to an iOS device may be able to access photos from the lock screen (CVE-2017-13844). 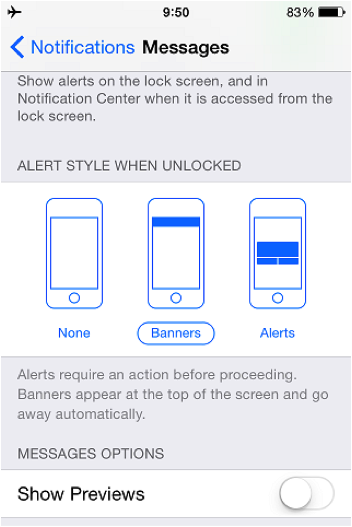 A person with physical access to an iOS device may be able to use Siri to read notifications of content that is set not to be displayed at the lock screen (CVE-2017-13805). iOS 12.1.2 (Dec 2018): This update has no published CVE entries (https://support.apple.com/en-us/HT201222). NOTE: Since all of these vulnerabilities have not been officially acknowledged by Apple, it is sometimes complex to identify duplicates or missing ones. If you identify any discrepancy, inaccuracies, or additional references or videos, please let me know. This extensive list of iOS lock screen bypass vulnerabilities can be exploited by anyone that gets physical access to a target device, even temporarily. It is therefore crucial for both security professionals and pen testers, as part of their recommendations within pen test reports, to provide countermeasures that mitigate the associated risks. In fact, unless an organization is impeccable in their patching and update process, you are pretty much guaranteed to find an older version of iOS on some of their devices that could lead to a significant finding. And, if the organization employs a Bring Your Own Device (BYOD) policy, again you are ensured of a proliferation of older versions ripe for attack. If you can gather information about the use of such devices, you’ll have a nice finding for your report. In order to minimize the impact of lock screen bypass vulnerabilities in iOS devices, it is highly recommended to always update the mobile device to the latest iOS version available, which supposedly fixes all the publicly known vulnerabilities, and manually (or though an MDM solution) verify that you really are in the latest and expected iOS version (http://blog.dinosec.com/2014/06/ios-back-to-future.html). 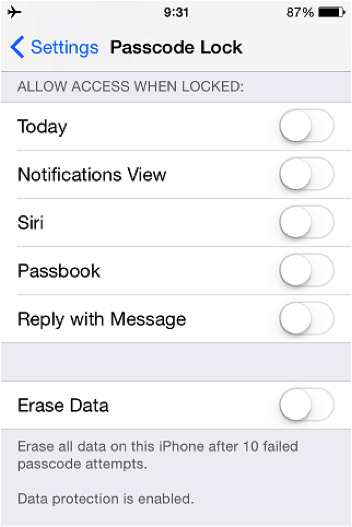 Disable Passbook when the device is locked: Navigate to "Settings –> Passcode –> Passbook" and disable it there ("Allow access when locked: Passbook = OFF"). 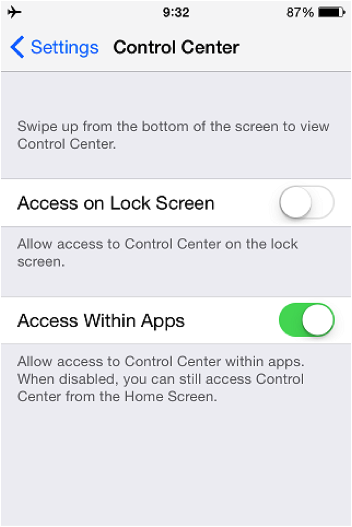 Disable the Control Center from the lock screen to avoid exposing sensitive controls, such as enabling/disabling the Wi-Fi or Bluetooth interfaces, or even airplane mode: Navigate to "Settings –> Control Center –> Access on Lock Screen = OFF". The multiple controls available in Control Center cannot be customized; therefore it can only be enabled or disabled completely. 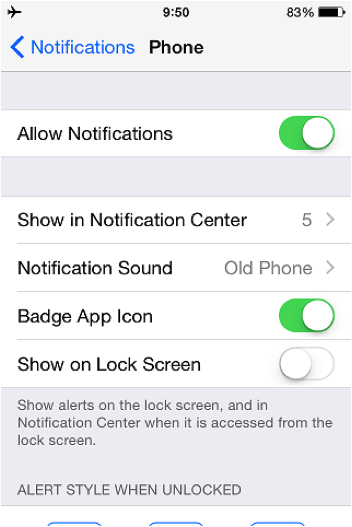 To accomplish the same task in iOS 7, navigate to "Settings –> Notification Center –> Access on Lock Screen" and disable both, "Notifications View" and "Today View". Additionally, the "Show on Lock Screen" setting from the same menu allows defining if the individual app notifications will be available on the lock screen or not. 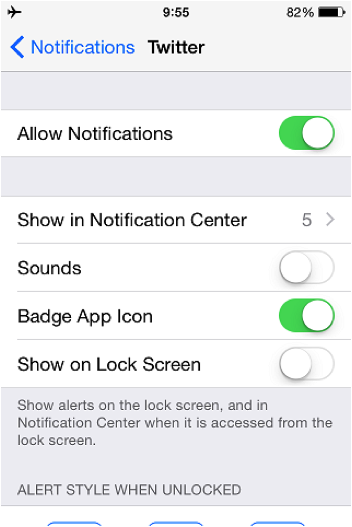 In iOS 7, these and other adjustments in the next set of recommendations were available under "Settings –> Notification Center –> ..." instead. 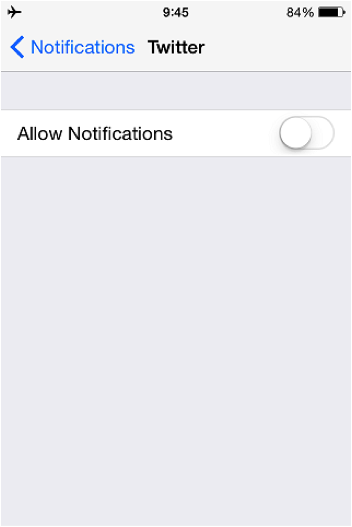 In iOS 7, to unlink an app from the Notification Center go to "Settings –> Notifications –> –> Show in Notification Center = OFF". Establish a passcode with at least one alphabetic character, so that the look & feel of the iOS lock screen does not disclose if your passcode is just a PIN (4 digits), is made up of just digits (more than 4), or (preferred option) is alphanumeric. 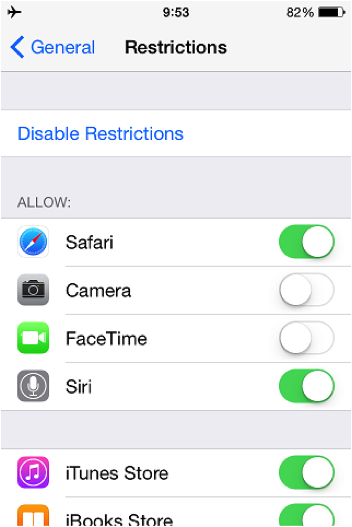 (*): Voice Dial is always enabled since iOS 7.1, and there is no configuration option to disable it, as it was the case in previous iOS versions (e.g. 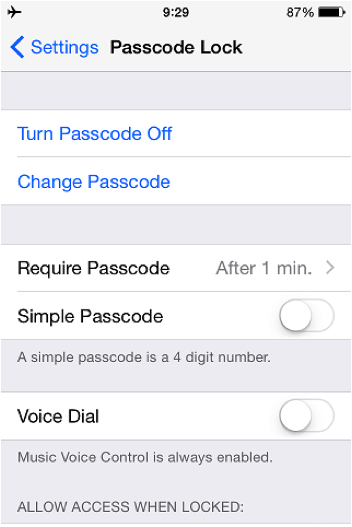 7.0.x) from "Settings -> General -> Passcode Lock -> Voice Dial" (since iOS 7.1 it should be under "Settings -> Passcode"). All these recommended actions can be manually implemented through the Settings app or (most of them) via a configuration profile that can be pushed to the target iOS mobile devices through an MDM solution. Both offensive attack opportunities and defensive protections are thoroughly covered in the SANS SEC575: Mobile Device Security and Ethical Hacking course, with the main goal of testing and improving the overall security of corporate mobile environments. NOTE: This article has been crossed posted in both the SANS Pen-Testing Blog (here) and DinoSec's Blog (here) in September 2014. I'm a Certified Hacking and Security (CHS) Expert, that needs no further explanation. You can reach me on my email above if you need quick access to a cheating partner's phone, text messages, facebook account, whatsapp account, email accounts and any other social media accounts and I'll send you an estimate within few hours as well as info on manner of working. I also use my skill sets to help binary options scam victims recover their lost funds and also to help boost/fix credit scores under a space of one week. Hey guys! 90% of the so called hackers out there are not real!!! I've fallen victim to quite a few but someone referred me to crackcyberhacker@gmail.com this man literally saved my life, I would be in a lot of mess but he came through for me! Please if you don't want to get scammed, use him, he is cheap, reliable and fast. You will thank me later, I promise you! he does all types of hacks!! Name it! !